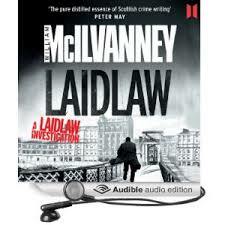 The original coiner of ‘There’s been a murrrderr,’ this is the introduction to William McIlvanney’s Laidlaw, a detective in Glasgow that is different to many of his colleagues. Laidlaw seems to have a deeper understanding of criminals and the crime underworld – he sees the human traits that show that they are still people, despite their sometimes-terrible actions. When a young girl is murdered Laidlaw picks up the scent and begins to navigate the Glasgow ganglands searching for the killer. To find her he must utilise a knowledge of the city that is hidden from many of his fellow officers, he must slip into the underbelly of society and understand that it is often not what people say, but what they don’t, that may lead him to his goal. This novel is beautifully written and gripping from the start. I once heard Ian Rankin say that it was McIlvanney’s novels that influenced his own work. It was that comment that made me look for this book and I wasn’t disappointed. A self-confessed audio book addict, I loved the story, the vivid description of Glasgow and its people, and the narration. McIlvanney obviously knows his city and characters intimately and this comes across in the faultless delivery of this story. The length was just right, although I would have happily listened for longer. I believe that the second book is being recorded and I will certainly be listening to it as soon as it is released.